The main thing you need to know is that DeKalb Public Library made promises to DeKalb property taxpayers in 2015, and now is considering breaking its promises. But I couldn’t resist putting together some FAQs for anyone who might like more details. How much did the expansion cost? Total cost was $25.3 million. At center was an $11.6 million Illinois State Library construction grant, along with funding from a mix of public sources (e.g., TIF funds from City of DeKalb), loans, and private donations to DeKalb Public Library (DKPL). State grants involve a local match, so part of the non-grant funding covered the local share. Non-grant funding also paid for extras that were not eligible to be covered by the grant. What was the delay of grant funding about? The library construction grant is released in four stages based on percentage of construction completed. If a portion of a grant isn’t released during a given fiscal year, it must be re-appropriated the following year. The library received chunks of the grant at 30% and 60% project completion, but release of monies for 90% and 100% completion were delayed during Illinois’ budget impasse. The outstanding amounts, totaling $4.6 million, couldn’t be re-appropriated until passage of another state budget. Was there a real danger that the grant money would never be released to the library? Probably not. According to DKPL, the state had already issued bonds specific to the construction grants, so they couldn’t be used for anything else. It was just a matter of re-appropriation when Illinois started passing budgets again. The immediate threat was a shutdown if the library couldn’t find a way to keep construction going. A shutdown of any length would have been expensive in its own right. Why has controversy cropped up now? In January, the state released the rest of the grant except for a final installment of $1.1 million. With millions now in the bank, DKPL faces the decision to keep the money or to keep its promises of 2015. At issue is abatement/rebate of some $971,000 back to property taxpayers, and the removal of the emergency property tax levy of $500,000. People who attended library board’s recent special meeting saw the board “leaning” toward remitting only a partial rebate and keeping the levy for operations. Either action would break a promise. Property tax scenarios the library is considering. Trustees appear to be leaning toward scenario 2 or 3, but only 4 fulfills the library’s promises to DeKalb residents. The Illinois Attorney General has issued a binding opinion concerning public employees’ use of personal email accounts when messages pertain to public business. …the Illinois model ordinance [for adoption by local units of government] is not even minimal. It only deals with political activities and gifts. There is nothing about conflicts; the word doesn’t even appear. To call it an ethics ordinance is like calling a burglary law a criminal code. Because it is vital that officers and employees understand the ethics laws, Article 15 of the Model Ordinance provides for the designation of an Ethics Advisor to whom officers and employees can address questions or concerns regarding compliance with its provisions, as well as other ethics matters, such as filing Statements of Economic Interest, where required. Did the city attorney not know this, or was he counting on no one’s looking it up? Obviously, the city has not yet adopted enough of the state’s model ordinance language to address its responsibility to penalize ethics scofflaws like Mayor Rey. Considering that local units of government, home rule or not, are required to adopt regulations that are “no less restrictive” than those contained in the Ethics Act, and “admonishment” is lesser than prosecution, DeKalb should correct its ethics ordinance right away. The AG’s model ordinance is here. It is 11 pages long. DeKalb’s ethics ordinance is here. It is two pages long. CityEthics.org also has a model ordinance, and it is here. The governor’s proposal to make huge cuts in funding to state universities is the big news today, but municipalities are facing a similar threat. At Monday’s council meeting, DeKalb’s finance director will present the mid-year budget report. The city appears to be pretty much on target for the current fiscal year, but administrators are concerned about possible future cuts to DeKalb’s share of the state income tax (see p. 26) if the governor gets the budget he wants. Income tax started out on pace at the beginning of the year and has slowly fallen behind budgeted dollar expectations. Dollars are projected to come in slightly below budget at $4.15 million. Please note this revenue source is a part of the Local Government Distributive Fund (LGDF) which is currently collected and disbursed by the State of Illinois based on a per capita basis. With a new Governor, there has been discussion about perhaps eliminated [sic] these funds or changing the distribution allocation. The current budget proposal doesn’t eliminate the income tax LGDF, but if passed would halve it. The impact on a given municipality would depend on how much of its budget depends on income tax. In DeKalb’s case it makes up about 12.5% of the operating budget so its absence would definitely cause pain. This is not the first time a governor has targeted income tax payments to municipalities, and I identified this vulnerability as early as 2010. Even if we dodge the bullet this year, we should start talking about how to reduce dependence on this revenue source for funding operations. Related: “Budget Addresses Have Consequences” at the Capitol Fax. Last March, during a Civic Committee discussion of the state’s public pension problems, Fahner claimed that some members had talked to bond ratings agencies about lowering Illinois’ bond rating to create more pressure for pension reform. Lowered bond ratings lead to higher borrowing costs, which is bad enough. Worse yet, Mayer Brown was Illinois’ contracted bond counsel for a million a year. Let’s just say the optics were bad. And yes, I did write that Mayer Brown “was” the state’s bond counsel. The Quinn administration announced it has selected another firm, Chapman & Cutler, to serve in its place. Thought you’d like to know that the right thing happened. In a post from January 10, I told you I’d continue trying to get information about the state’s Public Library Construction Grant Program since we knew so few of the institutions that won them. Part of the reason it has taken so long to get back to you is that I goofed up my chance to fight for the information. Yep, I sure did. Since the Illinois State Library had always responded quite fully and promptly to previous Freedom of Information Act requests, I didn’t bother to make a copy of the request for the list of awardees. This time they denied me the document and I was unable to ask for a review of the decision because under FOIA you must provide a copy of the original FOIA request along with the Request for Review. Raise Taxes to Gussy Up the Muni Building? Really? I can’t believe hikes in taxes are even up for discussion. 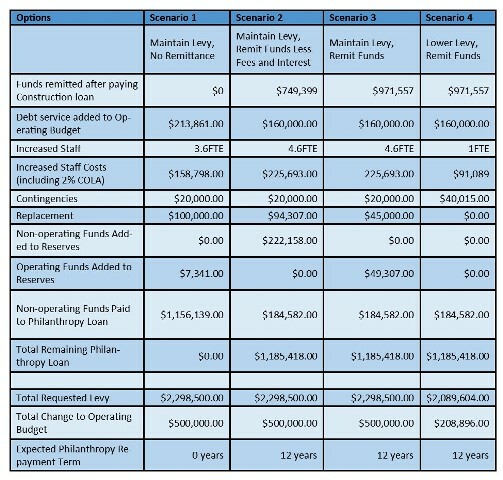 Consultants estimated one option for renovating City Hall – including upgrades to the heating and cooling system, plumbing and fire protection system, among other things – would cost $3.7 million. City Council members also are exploring spending $7.5 million on renovations, with $5.5 million of that coming from tax increment financing dollars and $2 million coming from increases to gasoline taxes, water bills or property taxes. From the article it sounds like Aldermen Jacobson, Snow and Baker do not support a plan to raise our taxes for this. Good. It’s bad enough the city will likely have to use TIF money to upgrade the HVAC instead of addressing our rotting neighborhoods, but raising taxes to put council chambers on the first floor would be absolutely obscene in view of the bills coming due for unpaid pension liabilities, public building construction and whopping raises for the rookie staff. As an aside, I returned to my old home town in Indiana last weekend — you know, the one with real TIF oversight and an Ethics Commission, among other things. We paid 7% tax on our lunch bill, and when we went downtown near 7 p.m. on Friday we found the sidewalks filled with students and families and all the downtown shops lit and open. Freeport Township now looks to the court system to see if last year’s joint purchase of the property at 206 E. Stephenson St. with the Veterans Assistance Commission [of Stephenson County] was legal. The pending lawsuit includes the VAC[SC], Security First Title Company and local businessman Dave Fonda as defendants. The township and VAC[SC] jointly bought the property that they currently share from Fonda for $366,971 and moved there in January. The basis for the lawsuit is three counts, according to the article. The court is being asked to determine whether the VAC[SC] is prohibited from entering into contracts to buy property unless it’s partnering with a municipality, whether the electors of the township should have voted on the purchase, and whether the township failed to appropriate funding to cover operational expenses in the new building. I guess theoretically a positive finding on any of these counts could result in vacating the purchase, though the township seems to prefer just to find a way to make it legal if it currently isn’t. The township is not asking for money damages. Illinois’ Mercer County lies south of the Quad Cities and comprises part of its metro area. Perhaps you’ve heard that the county’s treasurer, Mike Bertelsen, has been arrested and charged with stealing at least $13,000 from the county’s 911 Fund, the result of investigations that followed a forensic audit in the county office. I’ve suggested before that failures to turn in Comprehensive Annual Financial Reports (CAFRs) and Tax Increment Financing (TIF) annual reports to the state might signal trouble, as tardiness correlated with financial corruption cases in Alorton and Dixon. I haven’t seen this story anywhere else but at Rich Miller’s Capitol Fax. Let’s put it in a nutshell and provide lots of links for you to explore further if you wish. Tyrone C. “Ty” Fahner is a former Illinois attorney general, partner of an international law firm that does business with the State of Illinois as bond counsel, and president of the Civic Committee of the Commercial Club of Chicago.